Be sure to take G.A.P. FCU’s VISA Credit card and/or VISA Debit/ATM card along with you on your vacation or when you go shopping. It’s the safe and convenient way to enjoy your next “adventure”! Don’t Leave Home Without It! Logon to eZCard INFO and pay your VISA credit card online, view your last five (5) transactions, view your monthly statements, and now set up your account for fraudulent transaction alerts! The advantages of a credit union credit card are easy to see. These days, the mail is full of credit card offers from all over, offering all sorts of “good deals”. The closer you look at their fine print, the less attractive they are. Compare terms, rates and conditions. You’ll clearly see that a G.A.P. FCU credit card is the right card for you. No annual fee, no over the limit fee, 25 day grace period, and 12.00% APR for both purchases and cash advances. Apply today, you’ll be glad you did!! VISA Credit Card promo offered twice a year!! “Earn Rewards Points With Your Visa Credit Card!” Did you know that each time you use your G.A.P. Federal Credit Union Visa Credit Card for purchases you earn ScoreCard Rewards Points? Every card is automatically enrolled in the program, so you don’t have to wait to start earning points. Reward yourself for your purchases with ScoreCard Rewards. ScoreCard Rewards offer a great selection of brand-name merchandise and travel options. To find out what awards are available, visit the Travel and Merchandise sections of the ScoreCard Rewards website. Earning Points: Use your Credit Card to earn 1 point for every $1 of your purchases online, over the phone, or at the checkout counter. Redeem your points for a variety of great rewards, including hotel reservations, car rentals and brand-name merchandise. Redeeming Points: Cashing in on ScoreCard Rewards is simple! Visit www.ScoreCardRewards.com to create your profile. Once your profile is created, you can view your reward balance, search and view all available redemption options, and redeem your points for rewards! Be sure to use your cards for all of your everyday purchases and then watch your points add up quickly! The GAP CHEK Card is the easy way to pay for purchases–right from your share draft account. You can use the GAP Chek Card to get cash, groceries and gas. But that’s not all! Since our GAP CHEK card carries the VISA symbol, it’s accepted everywhere VISA cards are welcome-at over 14 million locations worldwide! Whether you’re shopping around the corner or around the world, you can use the GAP CHEK card to pay for everyday purchases instead of writing a check or paying cash. Use it at stores, restaurants, or for shopping over the phone or internet(be sure you are dealing with reliable merchants, and check for secured sites on the internet). It’s the hassle-free way to pay right from your checking account. Don’t let your money give you the silent treatment. Get Consumer Alerts for large purchases, activity notifications, low balance warnings and more. You choose the alerts you want to receive and how you want to receive them. Whether by text message or email, Consumer Alerts offer a convenient way for you to manage your money and help protect you from fraud by putting you in control of your account information. Get this world-class feature from G.A.P. Federal Credit Union. Log in to activate Consumer Alerts today! There is a fee of $.25 per withdrawal at an ATM machine, but no fee for deposits or purchases. A PIN (Personal Identification Number) is only required for withdrawals*. 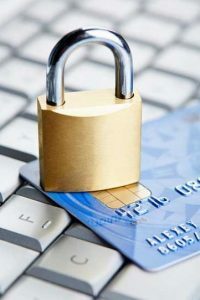 *To prevent unauthorized use of your Debit card: Commit your PIN to memory; Never write your PIN directly on your card, if you must keep a written record, store it away from your card; Don’t give anyone else your PIN. The power to manage your money is in your hands with our CUMONEY prepaid debit card. You fund it with the specific dollar amount of your choice and re-load it with more money, as you need it, at any time. Manage Your Prepaid Debit Card From Your Computer. Our Internet management tool lets you track your spending with just a few clicks, so you always know how much you’ve spent, how much money is left on your card, and can better understand your spending habits. It’s an easy way to stay within your budget. When your card is running out of funds, just re-load it by going to our Internet management tool or contacting any of our offices, and enjoy the convenience of using your card wherever Visa debit cards are accepted worldwide. Put An End to Being Overdrawn or Paying Overdraft Fees. You can only spend the amount on your prepaid debit card, so you never overdraw a checking account. This eliminates overdraft fees and embarrassing mistakes. Our CUMONEY prepaid debit card is also very safe. It’s not tied to your checking or savings account, so if it’s lost or stolen, you won’t have any risk. It comes with Zero Liability Protection for your security so it’s much safer than carrying cash. Protect yourself against Plastic Card Losses! Today the average American adult owns and uses 11 “plastic cards”. Plastic card is catchall term that refers both to debit cards–automated teller machine (ATM) and point of sale (POS) terminal cards–as well as credit cards. Card safety starts by keeping constant control of your cards. Remember to always: Sign your cards immediately upon receipt. Carry only cards you plan to use. Watch all card transactions carefully. Store unused cards in a secure, locked place. Cut up and discard old or unwanted cards. Never loan your plastic cards or personal identification number to others. Inventory all the cards you own and keep the list separate from your cards. VERIFIED BY VISA — NOW PROTECT YOURSELF WHEN SHOPPING ONLINE WITH YOUR VISA CREDIT CARD OR YOUR VISA DEBIT CARD —VERIFIED BY VISA–SIGN UP TODAY! APPLY TODAY ONLINE. THINK HOW MUCH EASIER YOUR LIFE CAN BE!